Salam & hello everyone! I love traveling but I am still at a stage where I can't really afford to go places. Hopefully soon I can travel to places I wanna go! 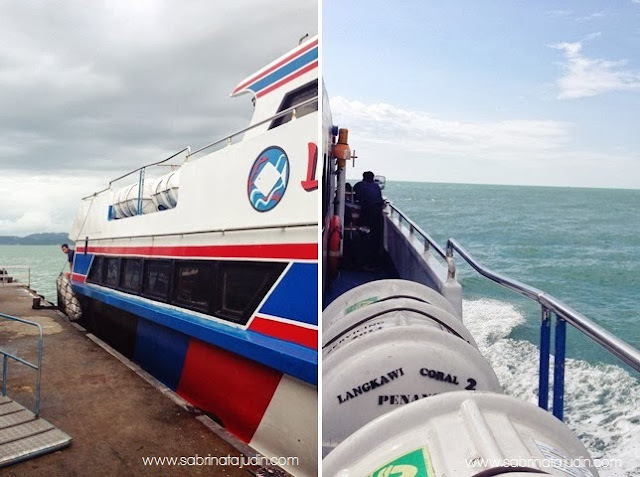 Just wanna update a short post about my recent trip to Langkawi. I went there for 4 days 3 nights. A lil getaway with my family, I could call resting from the city and just enjoy nature. I did not bring my laptop together with me because I just wanna have some time alone and relax. Aah, I already miss Langkawi! The food, the nature the air. It so different from the busy city Kuala Lumpur. We went there by flight, as we arrive there is a lot of small booth out to the entrance from the airport. There you can choose from varieties option for car rental and activity packages. If you are a Malaysia resident, you can get awesome price rate! So my father went to this booth and book us a Marine Park Package. Includes, Lunch Buffet, Snorkeling, Swimming with the sharks, Bottom Glass Boat ride and the ferry ride to Paya Island. As you know I love beaches, because I love bright places! The breeze and smell of the sea! Aaaaa... So calming. But my journey to Paya Island didn't really went well. Haha. Since it is the end of the year where it is not the best time to go to the beaches. Me, my brother and my mom got sea sick and we were like throwing up along the way to Paya Island. It was crazy! But thank God, as we arrive all that nonsense sickness just went away went I got to see such spectacular view of the Paya Island as you can see in the pictures above. I love snorkeling! It is just so fascinating that I got to swim with the fishes as well as the sharks! Oh, well, baby sharks! I was quite horrified at first actually but, well.. I went into the sea when the sharks swim to the other side. Haha. The buffet lunch is amazing, did expect they serve us well. The buffet is served on the ferry. 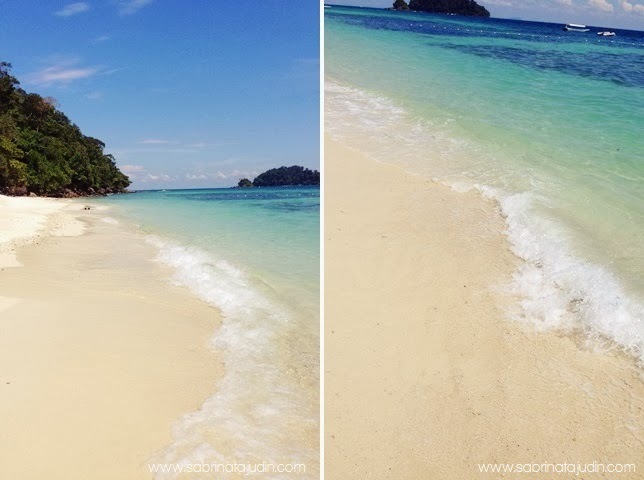 The water is not so clear as the staff said the best time to come to Paya Island is between Mid Feb to April. The few days have been filled with shopping and eating. Langkawi serve fresh foods and the price is super awesome! RM20 for 4 person during breakfast (includes 2 pack of nasi lemak for each of us, chicken and some extra kueh)? Where to get in KL? The last day we went to the "Gamat Shop" as Langkawi is well know for its Gamat (sea cucumber) product production. Well, I my self can't help but to shop for some chocolates. Most of the chocolates we can't really find in ordinary retail shop. I was searching for Nutella, but unfortunately, the whole Island of Langkawi is not restocking Nutella for that time moment! Crazy I tell you! I went to 8 different shop and all of them are sold out. Sad me. I can't wait to go back there and try more activities! I wanna try the Paragliding as well as the Jet Ski! Hope I can go there again and try out more new stuff! Have you been to Langkawi? What is your favorite part? wow! this is really amazing. i'll go on March next year. really enjoy reading this post. weee can't wait! kannn!!! haha! so cheap la sana... haha! you should! there are still more places there in langkawi that visitors can discover! tu la... mengigil2 mcm ape dah... haha! next time kene beli pill ti and bawak. aah, murah kan sewa kereta sana... best dpt selalu g sana! Dhiya baru je balik dari langkawi !! Island hopping best ! My husband and I are in the planning phase for an upcoming trip to Malaysia and I would love to include Langkawi. I have a choice between Saba and Langkawi, and I'm going with my gut feeling and selecting Langkawi. Oh, we are planning on traveling mid November, insha'Allah. I suppose the water won't be too clear then as well. Also, thank you for this beautiful post!